I have been completing some investigatory work around SMS gateways recently, specifically for our new contact centre suite to contact our customers. I came across a SaaS based gateway product called RedOxygen. They have a number of methods of sending SMS messages, ranging from an Office plugin, to a documented API. My interest was the latter option as this is what we plan to use. 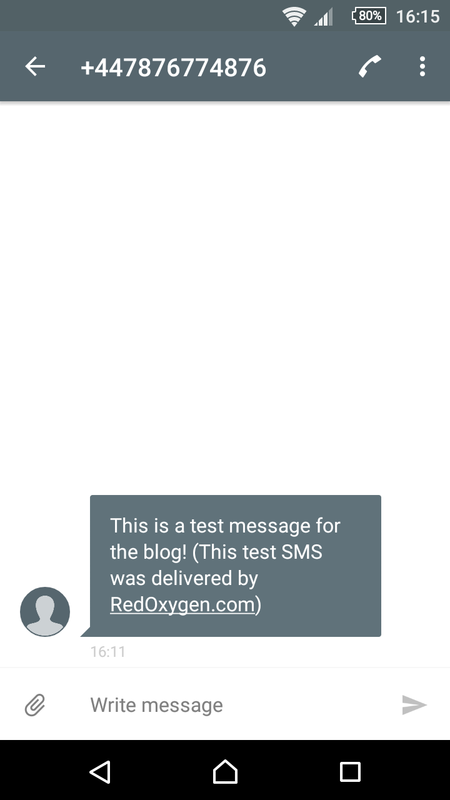 You can sign up for a free account which gives you 25 free messages (very useful for testing). 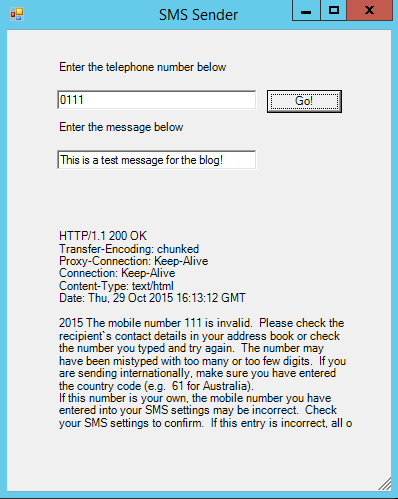 There is an interface option for HTTP GET and POST to send your messages which is easy to combine with lots of programming/scripting languages. 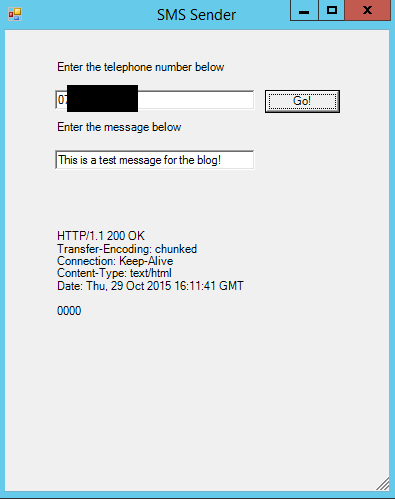 I am not a programmer or developer but I have worked with Powershell before, so I set myself the challenge of creating a little GUI which will take input from a user to type a telephone number and a message which upon hitting a button, would send the message to a mobile phone. I also wanted it to display a return result to inform the user if there was a problem. #Fill in RedOxygen account details here. 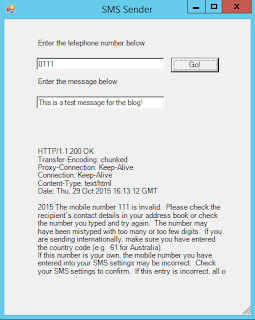 $Telinfolabel.text = "Enter the telephone number below"
$SMSinfolabel.text = "Enter the message below"
Clearly the powershell code above could be improved upon with number validation and improved feedback rather than the RawContent from the Invoke-WebRequest. 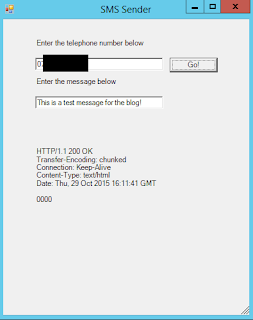 The main thing I wanted to do is prove how easy you can send SMS's from Powershell. I guess this might be useful for those weekend scripts or if certain systems fail.